Information travels at a mile a minute, or so they say. 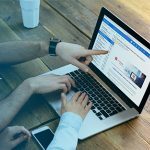 If your business is not using email, you might as well admit that you are working in the Stone Age and realize you are missing out on opportunities. News sources predict there will be 19 billion email users by 2019 worldwide. 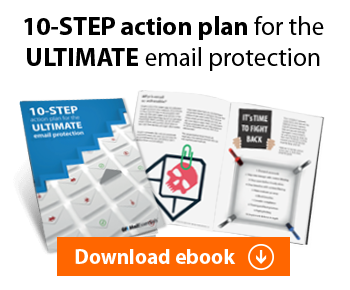 While your business is running, there are 103,447,520 spam emails sent every minute. You need a good email server that will sift through unwanted emails, keep malware from infiltrating your system, and communication working fluidly every day. There are different options out on the market. Kerio Connect has the competitive edge as it offers many of the same features of your favorite email servers and more with an added bonus that will leave you wondering why you did not switch over earlier. Think you cannot stop employees with bad cyber hygiene? At least you can prevent malicious emails from getting in front of them. Kerio Connect is packed with features to ensure that you are protected against hacking, phishing, or whatever techniques attackers are using to get into your system. Kerio Connect is equipped with SLL encryption, S/MIME, anti-spam, anti-virus, and other tools to secure your network. It also has an automated backup with granular restore options so that recovery is easy if you experience a malicious attack. Now if only you could figure out how to train employees to restart their computer/printer/scanner before they call IT. The easier it is to communicate, the faster it is to take action. Kerio Connect features instant messaging to get your office talking. This way you don’t need to worry about them not staying on task by utilizing a system that they use in their personal lives. Instant messaging gets the message to the recipient within an office faster than an email. Quick communications such as a client just arriving at reception or a meeting which is about to start will keep your employees on task. Kerio Connect is a complete messaging and collaboration solution without the complexity. Everyone is headed to the cloud but not everyone is ready for the transition. Kerio Connect gives you the flexibility to choose where you want your emails stored. It is really up to your business’ current infrastructure. Kerio Connect can be installed on your existing hardware using your favorite OS including Windows, Linux, and Mac. It can also be installed on a virtual appliance so you do not have to worry whether it is compatible with the operating system your other business applications are running on. BYOD is not just a buzzword but reality. More employees are using their personal phones and tablets for work than ever before. Throughout the day 79% of people use their smartphones for reading email. That means your employees want quick access to communications. They want to see, read, and reply to emails without having to open up a window on their desktop. Kerio Connect syncs with any mobile device with a direct push synchronization. If you have experienced the pains of setting up a Microsoft Exchange email on your phone, then consider it forgotten. The simple interface makes connecting easy and communication even easier. Installation is so easy, even an end user can do it. According to news sources, Microsoft is increasing prices for all of their products by 10% in October of this year. This might be the time to look at alternatives which give you more and at a lower cost. GFI Unlimited, which features business proven solutions including Kerio Connect, is up to 40% less than Microsoft Exchange right now which means the price difference is only going to get larger. Not only do you get all of the features of Kerio Connect, you can also add GFI Archiver to aid in compliance and GFI LanGuard to assist with deploying patches and more. The options are unlimited. For one low price per user, you get access to a full library of SMB software. Download a free 30-day Kerio Connect trial (which also includes support) today, and start doing more with your software.